The next version release of Cabinet Vision is scheduled for July 2010 to coincide with the Atlanta tradeshow in USA. Along with lots of new features & benefits there will be a new naming convention for updates which will be used across all Planit products. The current version of Cabinet Vision is Version 5. 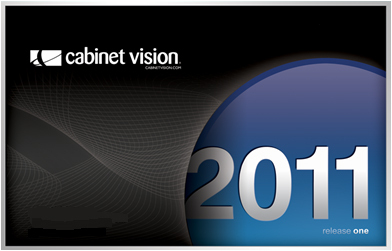 Instead of the new version being called Version 6, it will named Cabinet Vision Release 2011. This will help customers to identify whether their software is current based on the naming convention associated to a year. • Specify Line Boring "By Opening"
• Six System Finish Types "Out of the Box"
Want to pre-order your copy of Cabinet Vision Release 2011 and pay for it before June 30th 2010? Simply fill out the attached order & payment form and you will be automatically shipped Cabinet Vision Release 2011 when it is officially released in Australia.